When you need a high-value combination of quality and comfort – as well as reliable cleanroom protection – you can trust Kimtech A5 Cleanroom Coveralls. They are made of 100% polypropylene breathable SMS fabric, which gives the wearer cloth-like comfort. 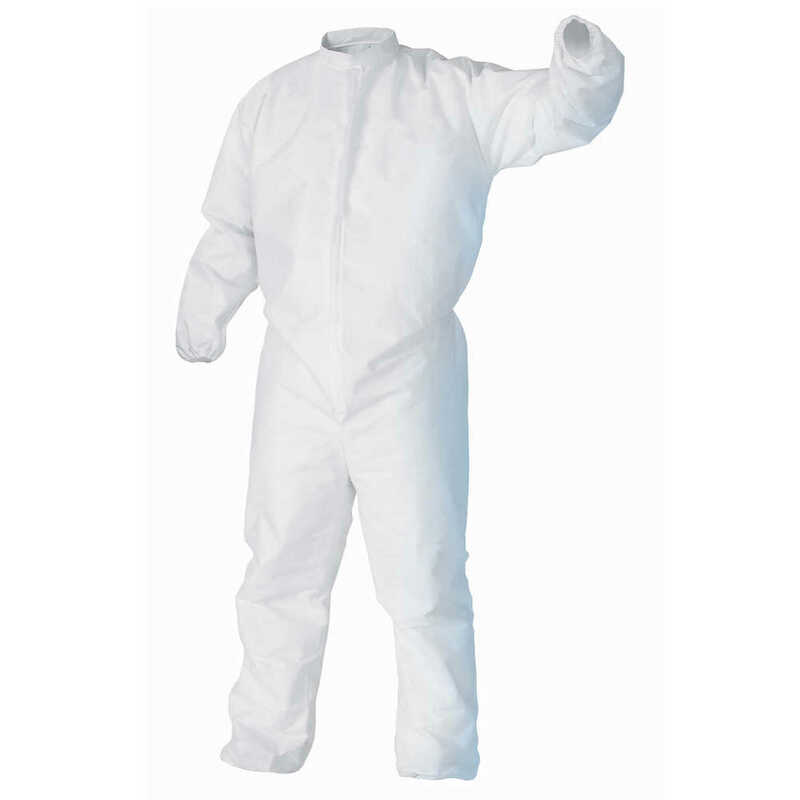 While other coveralls for cleanroom environments may look similar, the ones from Kimtech Pure have distinct advantages including tightly bound seams to strengthen the barrier, a high neck collar to reduce contamination, thumb loops to keep the sleeves from rolling back and a zipper flap to cover the zipper area. In addition, this protective apparel is recyclable through the RightCycle program (by Kimberly-Clark Professional). This personal protective apparel is triple-bagged and vacuum packaged, suitable for ISO Class 5 or higher cleanrooms. It is not made with natural rubber latex, silicone, or the BHT preservative and is designed for single-use (disposable PPE). For use in biotech, medical device, electronics and telecommunications manufacturing, they are designed to protect your process by providing comfortable, sustainable protection. Kimberly Clark Professional is a respected name in protective apparel, enabling you to deliver the reliable protection you’re required to provide and the peace of mind your team deserves.